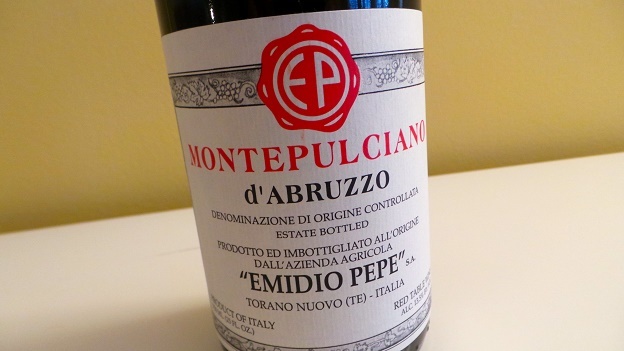 Emidio Pepe’s 2007 Montepulciano d'Abruzzo is stellar. Dark, rich and voluptuous, the 2007 hits the palate with marvelous depth and seemingly endless layers of pure, intense fruit. Game, smoke, tobacco and earthy undertones – all classic Pepe signatures – appear as the wine opens up over time. The 2007 is at once unusually opulent yet also rustic, but in the very best sense of the word. Although the 2007can be enjoyed today for its primary fruit, readers who prefer more tertiary nuance will want to wait at least a few years. Emidio Pepe fans know these Montepulcianos can age effortlessly for decades. I expect that to be the case here as well. Readers who can find the 2007 should not hesitate, as it is magnificent. 95/Drinking window: 2017-2037.